Quiet around here lately. Sorry. Real world has been busy. Trying to address that, but going through some upheaval over the short term. I think things will settle out fine in the new year, but it’s going to be a bit crazy until then for a lot of reasons. I do have several book reviews ready to go and I might be ready to announce a couple of small writing things soon, but neither of those is why I’m blogging today. Today, I took a step forward in my long range quest to play through all of the video games I’ve bought and never finished. Not that I have a lot of gaming time, but lately I’ve been working mostly on “Mass Effect 2” and “Lego Indiana Jones”. 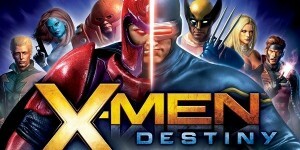 But this afternoon, I finished a play through of “X-Men Destiny”. Don’t look for a detailed review to follow, and you can already tell there aren’t a lot of (or any) screen shots following the text. This was a play for pure pleasure, just for fun, and I didn’t do any analysis as I went along. The campaign was a little on the short side, but considering I paid less than ten bucks for the game, I think I got my length of time enjoyment out of it. Eight missions, each of which took a little time to play, and a couple of the boss fights were hard even playing on the easiest level. Don’t look for anything super complex out of the story. It’s simple, easy to follow, and linear. We get a lot of familiar faces and some fairly recent big bads in the X-Men universe. There is a little bit of decision making needed here and there, mainly siding with the X-Men or the Brotherhood of Evil Mutants at various moments in each mission. It makes very little difference to the game play and apparently only materially to the final cut scene. Oh, you do get to choose your powers and the path they grown on, and that’s a nice bonus. Costume, genes, and powers all customizable, and XP can be used to power up a lot of these. But what you’re really getting out of this game is a bit of mutant wish fulfillment. I’m an X-Men fan from sometime in my early teen years, so I’ll give just about any game a try if it has them involved. Focus on them, and you’ll probably get a little of my money at some point. The scenery and characters are well rendered for 2011, but the characters in conversation or standing at rest were odd, like they all have a constant, whole body nervous twitch. But since you’re in combat or on the move most of the time, it’s not really that distracting. Sound and soundtrack work well, adding to the environment without being distracting. I was pretty impressed by the voice acting. While most things were pretty scripted, it didn’t feel that limited. Each cut scene got what it needed for writing and the actors delivered, meaning they actually acted, which was kind of cool. While I’m glad I got it on super sale last Boxing Week, it was a fun game, and it wouldn’t have bothered me to pay a few bucks more for it. But no, I probably won’t do another play through with either of the other available characters or at a higher difficulty level. I’ve got a lot of other games to play through. Still, I’m not ready to send it back to the recycled section of the games store yet. Let’s call it a 6.5 out of 10. So I signed myself up for the Goodreads reading challenge again this year, and increased my target to 50 books, theoretically almost one per week. I’ve finished nine books so far this year, and I’m nearly done a tenth. That makes me 5 books behind schedule at the moment, but it’s not because I’m not reading, it’s because of what I’m reading. You see, a while back (last year), I started doing an X-Men re-read. 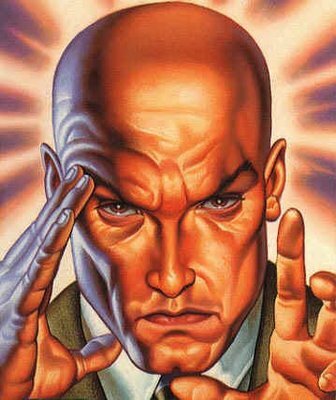 X-Men, as in the comic book. I used to collect comic books, and I was a huge X-men fan, accumulating most issues of all of the regular series of titles (although not all of them new off the shelf, from issue 100-ish of the original series through to around 330. This is the series that most readers will know as The Uncanny X-Men. But I also did all of the primary spin off series in the same time frame: New Mutants, X-Men, X-Force, Excalibur, Alpha Flight, and some of the mini-series too, but my budget was limited most of the time when I was younger. There were a couple of other series I read consistently, too, but not always related: New Warriors, Darkhawk, and so on. Actually, I started the re-reads last year with Elfquest, The Tick, and Alien Legion, before moving into other things and winding up with the X-Men again. On the re-read cycle, I’ve expanded my X-Men to include more of the mini-series, and a couple of spin offs that I hadn’t gotten into at the time. And, using some online resources in addition to my many boxes of comics, I went right back to the beginning with issue #1. In the primary series, Uncanny, I just read issue #310. There have been a lot of story arcs, more than I remembered, and it’s been pretty neat to watch the development and redevelopment of the characters. Over the course of a little over a year, I’ve worked my way from the early 1960s origin of the team up to the mid 1990s. Forward momentum has slowed significantly as the storylines have gotten more intricate and span more titles. In the 90s, a lot more titles came out per month. And I’m getting close to the end of my own personal collection, so I’ll need to figure things out soon. I stopped collecting in mid 1996, though I went back for a scattering here and there over the next few years. And in 1998, we had our first child. Things kept building up from there. But I’ve been devouring them lately, to the point where they make up most of my reading. Really. I’ve read more than 500 comic books this year, and pretty much all of them are X-titles. And, like I said, I’m going to run out of hard copies very soon. However, at this point, the vast majority of everything I don’t have is available online. The Marvel digital subscription price is looking pretty good at $69 for a year with unlimited access. Of course, at my current rate of consumption, it will take me three more years to get close to the present. Which means that there’s a lot of story still to come. And don’t be afraid to read a comic book or two. If superheroes aren’t your thing, there are plenty of other genres out there. I promise, you can find something for any taste.